If you're looking for a new CPU cooler, you will literally overwhelmed by the wide selection that is available on the market. 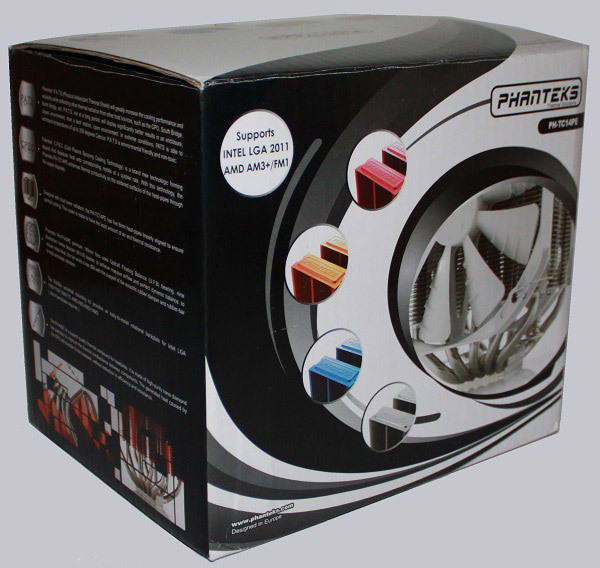 Besides the usual recommendations - Noctua NH-D14 or Prolimatech Genesis - the name Phanteks appears more and more frequently near the top of the cooler charts. 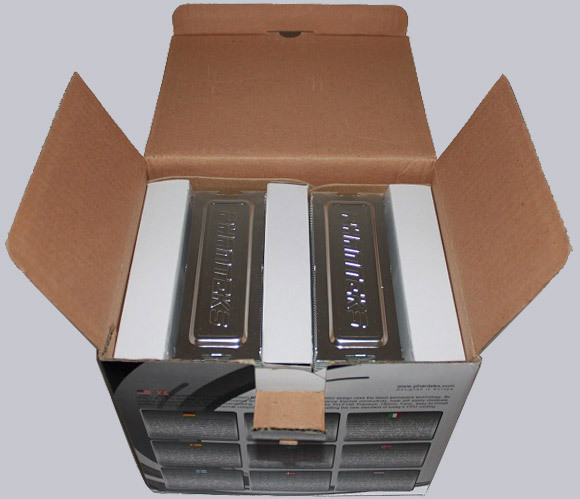 The cooler and accessories will be delivered in a large box providing a very good protection during shipping. 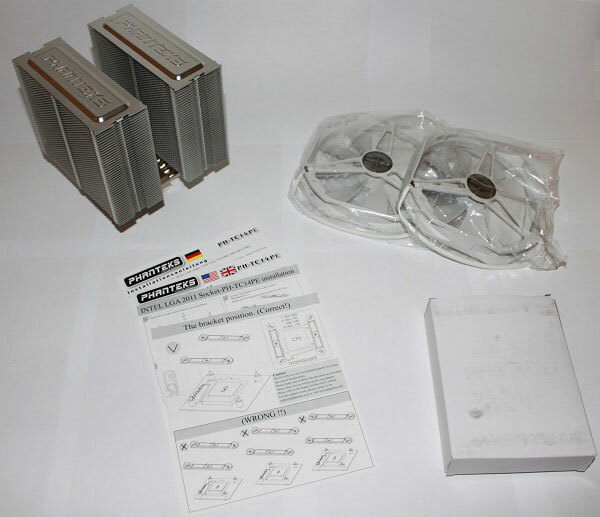 Inside the box there is the cooler itself, two 140 mm fans and a small box with accessories. The accessories which, separately packed in a box, is supplied can be called rich. 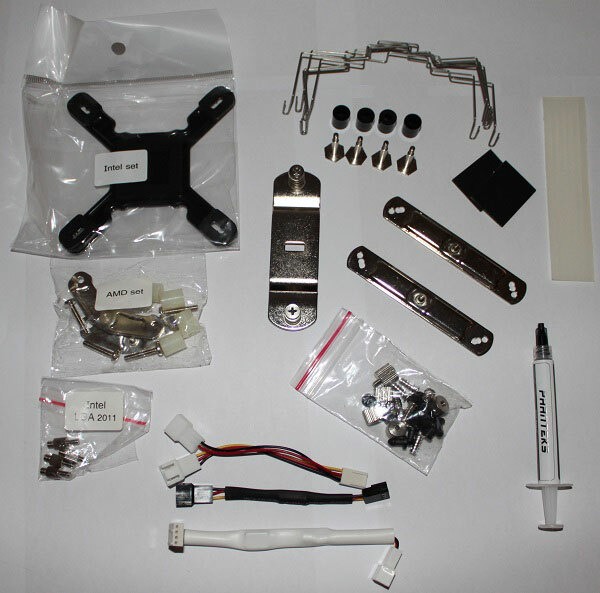 In addition to various screws and brackets for different mounting bases, the set also includes a tube of thermal paste and 6 fan brackets. Also included are rubber stripes and plates to protect the Cooler and the motherboard from scratches. The large cooler has following dimensions,without fans: 140 x 160 x 134 mm (W x H x D), with fans: 140 x 171 x 159 mm (W x H x D). 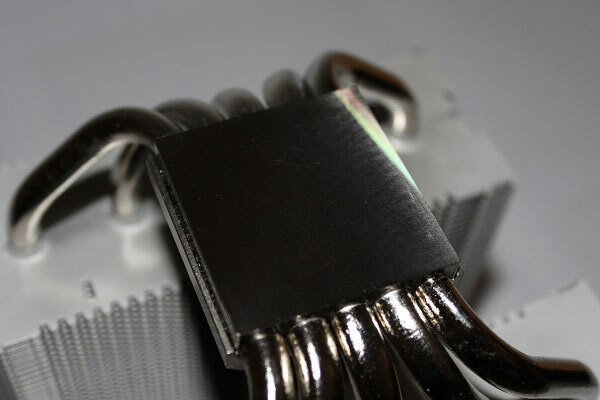 Five large 8mm heatpipes run through the twin tower cooler and thus ensure an optimal heat transport. 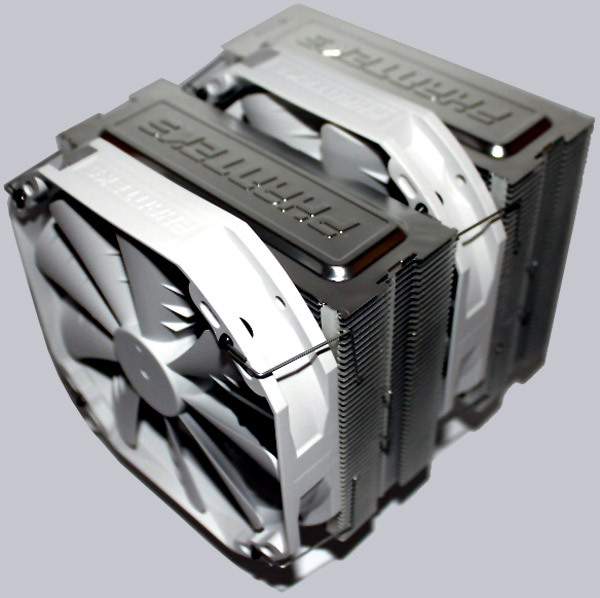 The weight of the massive cooler with two fans mounted is 1250 grams. This is nearly twice the maximum load limit approved by the manufacturer for some processors. So you should remove the cooler when transporting or expose to heavy impacts during operation. 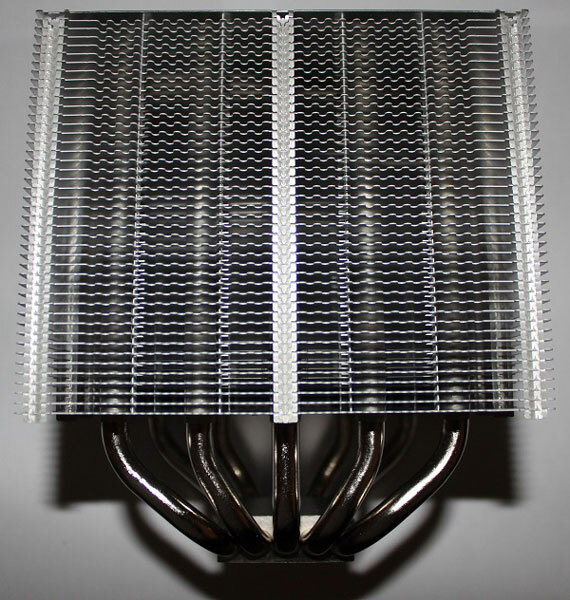 The bottom of the cooler consists of nickel-plated copper and the specially coated aluminum fins. Here are the two new technologies which have the special attention. Firstly, the "Cold Plasma Spraying Coating Technology" (CPSC) which is characterized by a special treatment to enlarge the surface at the nanoscale. This increases the heat transport to the heatpipes. On the other hand there is the "Physical Antioxidant Thermal Shield" coating. This is used to reflect the heat from the RAM or the mainboard not to raise the temperature of the cooler in addition. 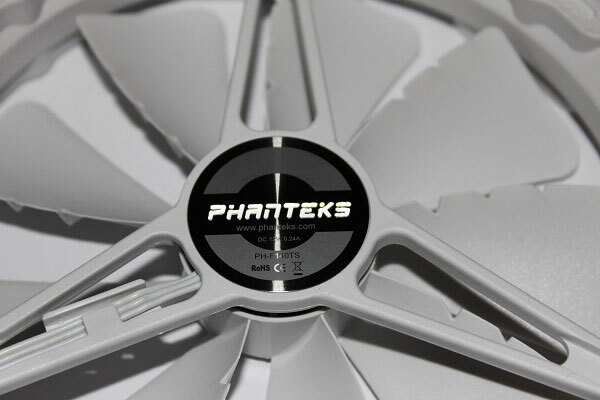 Two 140 mm fans of the type Phanteks PH-F140TS are supplied which are operating with 12 V, a current of 240 mA, and a total power of 2.88 watts. The speed range with PWM operation is between 700 rpm and 1200 rpm resulting in a volume between 13.4 db(A) and 19 dB(A). Should the fan be wired directly increases the speed at 1300 rpm and the volume to 19.6 dB ( A). This is an air flow rate of 149.7 m3 / h.
Despite the low volume specifications, the fan can heared clearly from +70%. 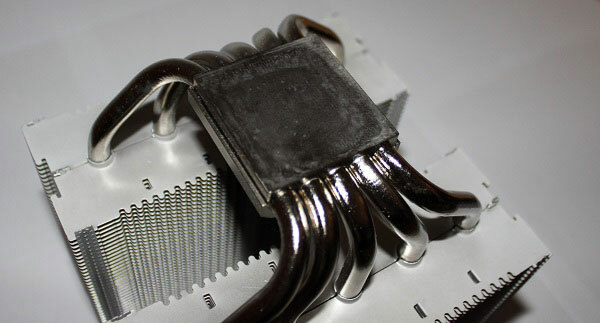 The cooler can be used on the following bases : Intel Socket 775, 1150.1155 , 1156 , 1366 , 2011 and AMD Socket AM2 , AM2 +, AM3, AM3 +, FM1 , FM2 . Take a look at the german illustrated manual the hobbyists could think that this could be a complicated day of working. At least for the base installation he should remain wrong. The fact the installation is quite simple. Due to the backplate which holds the nuts, the front frame easy to mount. The back is protected by foam spacers which prevent damage to the board. Then the installation of the rubber strips on the radiator follows, which already turns out to be much more difficult. If you want a fan that is in the middle of the cooler you have to attach the 3 stripes between the 3 cm wide radiator center. After pulling both ends of the strip it is a little bit easier to attach them. Now the installation of the fan brackets on the fans follows. Again, this is somehow tricky, since first, small attachment points must be inserted in the holes of the fan, which then hold the fan brackets. After applying the thermal paste, which has a rather tough consistency and can be only be distributed difficult, the cooler can be mounted. Here you have to pay attention not to mount the middle fan before, or you will not able to mount the three mounting screws. For this you need slightly longer screwdriver due to the height of the radiator double tower. Finally, we fitted the middle fan using the brackets on the radiator and the installation is complete. Due to the size and nature of the cooler other fastening methods would be difficult to imagine here. 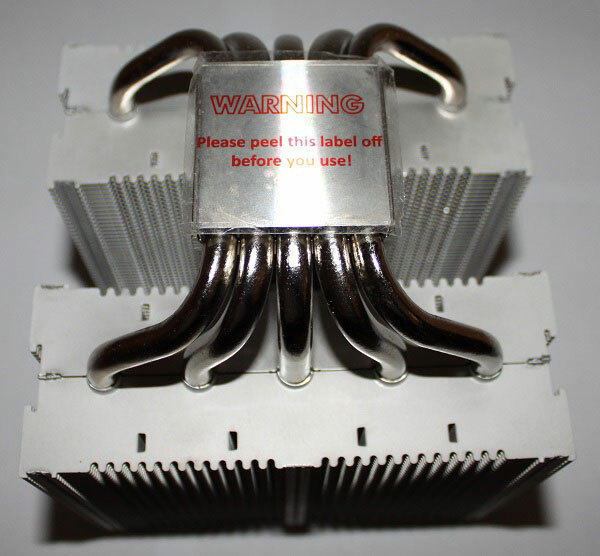 If you have performed the installation carefully and comply with all the important points in the instructions of the cooler sits firmly on the CPU and the fan perform their service stable. Now we come to the point cooling performance. May be it is nowhere so much cheated than with the CPU temperatures. Here, however, should at least be taught an impression of the cooling performance of this very powerful cooler. It should be known, the data read out from the Asus Suite are rather unreliable, so the Core Temp Tool in version 1.0 RC 6 was used. 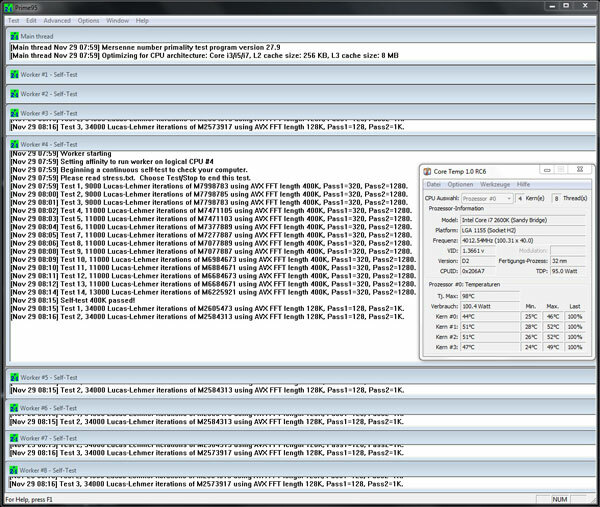 To generate 100% Load the tool Prime95 version 27.9 Build 1 was present. Even with a load of 100% the CPU Temperature not rises above 52 °C. This is a DeltaT of 32 °C with a Room Temp. of 20 °C, which is very good. Of course, these temperatures vary depending on case, used CPU and ventilation, but they do show that the Phanteks PH-TC14PE CPU cooler has deserved a place in the upper cooler charts. The only criticism the Phanteks must admit is the current market price at which the cooler is sold. This ranges between 85-95 EUR, if it is available at a dealer. The competition sell their comparable coolers on average 10-20 EUR lower in price. Here you can buy the Phanteks PH-TC14PE.